Maximize your Work Area With a Corner Desk System! 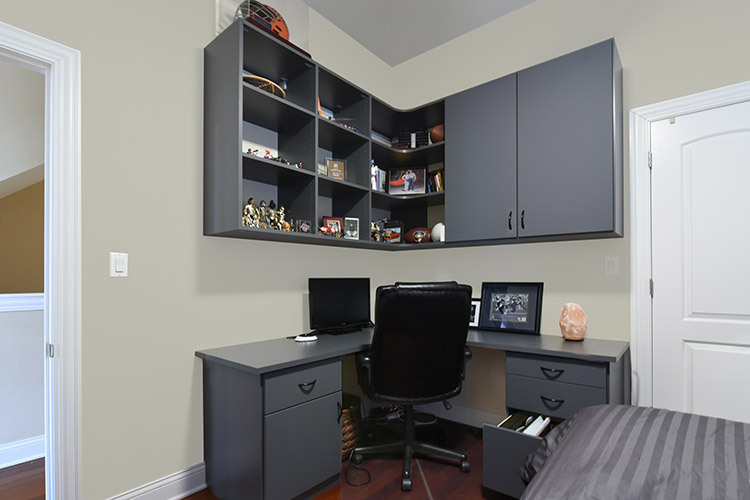 Sandwiched between the closet and bedroom door, this custom corner desk system allows for the maximum work surface and storage space, creating greater efficiency than a straight wall system. A corner desk system allows you to have two work surfaces, doubling your work space and ability to spread out. This home office system system was designed to provide the most functional office space within the smallest footprint. The desk was designed to make a lonly corner of the guest room into an efficient business office. 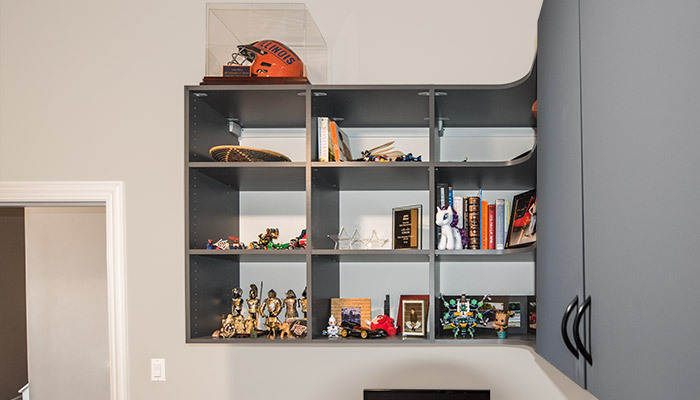 Providing what is essentially a full desk one each wall, the arrangement allows papers and projects to be spread out in an organized manner without demanding a lot of room. Open shelving above the desk provides additional storage. The inner corners, where the shelves on each wall meet, were rounded for aesthetics and functionality — adding a little more storage space than shelves that are not curved. 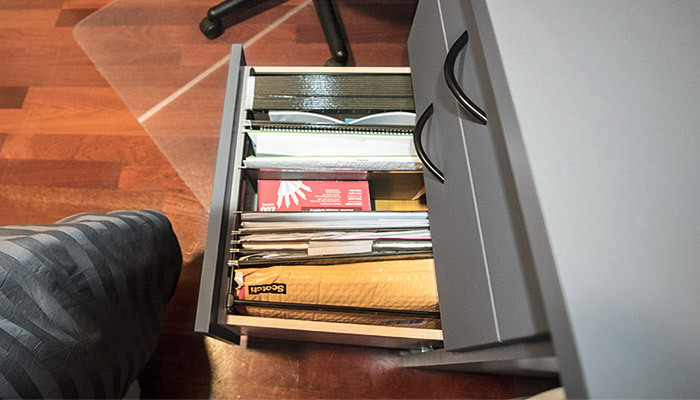 An upper cabinet hides the clutter, while file drawer inserts in the desk drawers provide a place for hanging file folders.